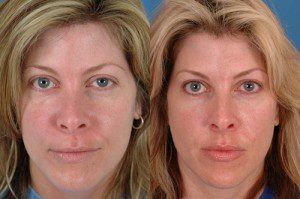 As the face matures over time, facial fat loss and volume depletion can significantly contribute to the appearance of aging. To restore lost facial contour, Dr. Bassichis often employs fat transfer as an excellent method to replenish volume lost with time, with the added benefit of improvement in skin texture and tone. Fat transfer is truly 100% natural and has been performed for more than a century for the correction of facial defects and other volumetric deficiencies. Essentially, fat transfer is the process taking fat from one area of a patient’s body where it is plentiful (for example, abdomen or thigh) and transferring it to an area of volume loss in the face or hands. Transferring a patient’s own fat is an ideal volume source as there is no potential for allergic reactions, it is readily available, it is relatively inexpensive, and can be used to treat a variety of conditions including facial fullness loss as well as aging of the hands, post-surgical defects, and post-traumatic defects. Another added benefit of fat transfer seen in many patients is the visible improvement in skin quality and texture in areas overlying sites of fat transfer. This healing effect has been attributed to the presence of multipotent stem cells present in human adipose tissue. Many areas of the face and body can be treated with fat transfer, but the most common sites Dr. Bassichis treats include: correction of “hollow” eyes and visible tear troughs, temple areas and temporal fat pads, cheeks, chin, jaw line, and other facial locations. Fat transfer is beneficial alone or in combination with other procedures to enhance the results of other cosmetic surgeries, such as facelifts. In those seeking a more natural alternative for plumping facial wrinkles, fat transfer may be an excellent option. There is minimal swelling and rarely any bruising. With minimal anesthesia and incisions required for this procedure, our Dallas fat transfer patients return to their normal routine shortly following the procedure. The results of fat transfer can last between 6 months to 10 years depending on your own individual metabolism and body mass index (BMI). The injected fat does absorb over time and repeat injections may be necessary to maintain the desired fullness of the treated areas. 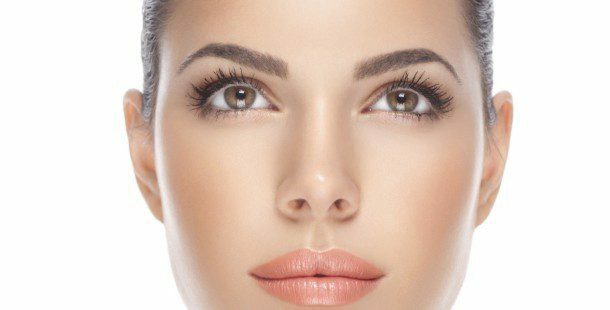 In addition to fat transfer, we are pleased to offer several FDA approved options for facial revolumization including Restylane, Perlane or Juvederm, Belotero ArteFill or Sculptra. Note that these products can also be used in addition to fat transfer for a truly specialized outcome. At your personal consultation with our Facial Plastic Surgeon Dr. Bassichis, we can determine the revolumization treatments that would best accomplish your aesthetic goals.